It's safe now to break out your stash of Christmas albums, if you haven't done so already. As is traditional on the blog, we're sharing our list of all-time favorites, plus spotlighting some items that are new, or newly reissued this season. Here's a retro-soul take on 11 holiday songs, traditional and new, ranging from "White Christmas," "Silver Bells" and "Silent Night" to "8 Days of Hannukah," "Ain't No Chimneys in the Projects" and "Funky Little Drummer Boy." Jones and the Kings haven't turned out a bad album, yet, and this should be a lot of fun. This is a reissue package on CD and red vinyl of a 1980 album produced by Meco (a.k.a. Meco Monardo), who topped the charts in 1977 with his synthed-up take on the "Star Wars" theme. The album includes Anthony Daniels lending his voice as C3PO on several tracks and marks the recorded debut of Jon Bon Jovi (as Jon Bongiovi) on "R2-D2 We Wish You a Merry Christmas." Originally issued as a six-song vinyl EP by the dBs Chris Stamey in 1986, this one has become expanded into maybe too much of a good thing. Now numbering 21 tracks, the original track list and feel of it has been overwhelmed. Still, it's a great lineup, now also featuring holiday tunes from Big Star, Peter Holsapple, Alex Chilton, Don Dixon, Marshall Crenshaw and Ryan Adams' Whiskeytown along with the originals from the dBs. This one is a classic, featuring swinging, loungey and just plain bonkers instrumental arrangements in pristine 1950s "hi-fi." I first heard it via an old record "sharity" site several years back and have played my self-made CD copy several times every season since. Now it's available officially via the fantastic Real Gone label, which also released all the following albums on our "new" list this year. This the second, lesser known, Christmas album released by mood music master Melachrino in the 1950s. Like the Three Suns release, it was originally presented by RCA's Living Stereo label and gets the full hi-fi treatment in this first-ever CD edition by Real Gone. This 1968 release, also from Real Gone, features musicians from the Chess/Cadet Records house band, including jazz harpist Dorothy Ashby, playing arrangements by bassist Richard Davis. On CD for the first time ever. This one rounds up all of Campbell's scattered holiday tracks and adds them to a his top-selling That Christmas Feeling album, first released in 1968. Here's the Four Seasons' Christmas album under its original name and in its original mono mix as originally issued in 1963. If you can forget about the disturbing spectre of Spector for a few moments, you'll enjoy these upbeat, exuberant tracks from Darlene Love, the Ronettes, the Crystals and others--all backed by the fabulous Wall of Sound. Putting this on is was an annual tradition in our house growing up - probably yours too. Contains the seminal version of "White Christmas," anyone? Plus, better yet, "Mele Kalikimaka"! This has become one my favorite Christmas albums. It's joyful and warm, just like Autry's Christmas recordings. The old timey arrangements and Redbone's one-of-a-kind mumbly vocals evoke a time when the snow was deeper, the air was colder, the fire was warmer and Christmas day seemed to last forever. Nostalgic and campy, but fun and beautiful to boot. Plus, it really shows the King's vocal range, from the the reverent gospel vocals of "Peace in the Valley," the blue crooning of "I'll Be Home for Christmas" to the rocking "Santa Bring My Baby (Back to Me)." The records are full of "Goon Show"-style jokes and general goofing around. The group's exuberance and joyfulness come through loud and clear. You can hear how much they enjoyed being Beatles. Until they didn't. The 1968 and 1969 recordings, you can tell, were all recorded individually, apart from one another. But the Fabs still cared enough about their fans to make an effort. Like I said, they haven't been officially released. But Google around a bit and you can find sound files for them. The pic above is the cover of the compilation LP of Christmas recordings the Beatles Fan Club sent to fans after the group had broken up. This expanded version includes later, not as good, Christmas recordings by the band along with some outtakes -- but why not have the works? As a toddler, I threw a copy of this LP across the room and smashed it to bits. I'm not sure if that was due to my age or whether I was annoyed by the Chipmunks' sped-up, screechy singing. Either way, destroying the record meant that I was missing out on a lot of goofy, nostalgic fun. See what I said with Sinatra re: matching great music with a great singer. This one's a beauty. This one is a must if just for the melancholy "Christmas Time is Here." Plus you get the rollicking "Linus and Lucy." Don't they look cute in their Santa hats? They sound great, too, especially on the hip "Little Bright Star," which coulda shoulda been a Motown hit as great as any other. Not content with standards, Stevie put a few originals on his Christmas LP, too, including the upbeat "What Christmas Means to Me." As you might expect, the Ventures twang'n'reverb a good carol. 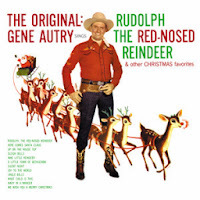 Part of the fun of this one is spotting the then-current pop tune the group quotes before launching into the Christmas song--like the Beatles' "I Feel Fine" that turns into "Rudolph the Red-Nosed Reindeer." What an insane, inspired approach. As with the Ventures, this is another all-instrumentals take on Christmas classics, but with more of a groove. 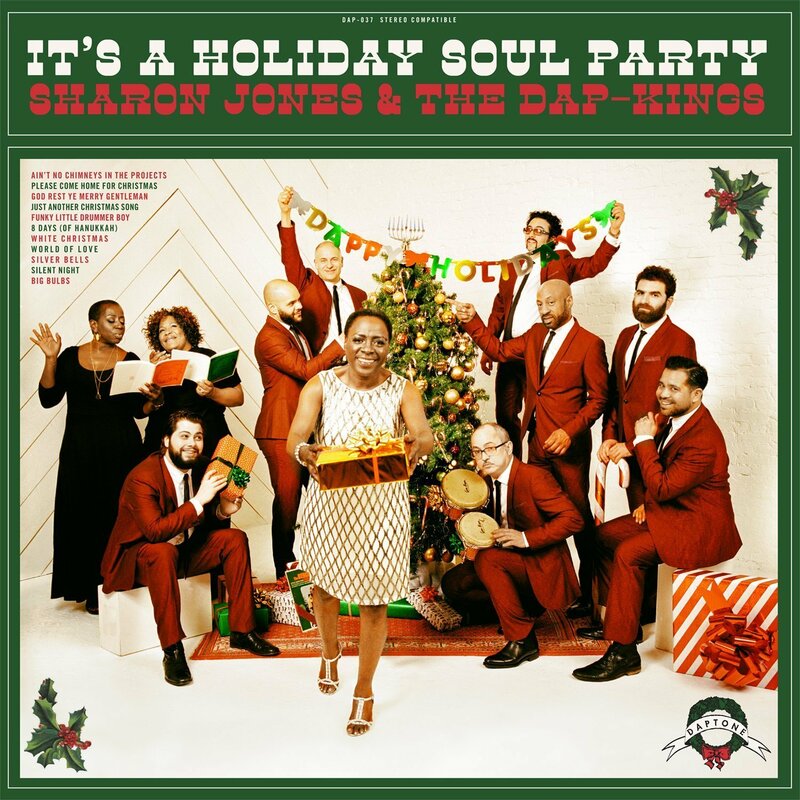 If you dig "Green Onions," "Time is Tight" and the MGs' other Stax hits you'll like their hip versions of traditional carols, too. Yet another instrumental collection of holiday tunes, but much different that the previous two LPs listed. On steel string acoustic guitar, the eccentric folk/blues guitarist Fahey, lends this traditional music a lonesome, yet joyful quality and promotes quiet thought about what the holidays mean to all of us, apart from the frantic pace, all the shopping and commercialism. A true gem. Love the Leon Redbone Christmas I play it every Christmas season.